Dr Warke is based at the Royal Victoria Hospital in his NHS practice as a Consultant Respiratory Physician.The RVH is the largest hospital in the province containing many of the regional centres for various specialties. 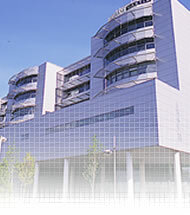 It is a major university teaching hospital with a worldwide reputation for research and innovation. NHS referrals must be made in the usual manner through your general practitioner. 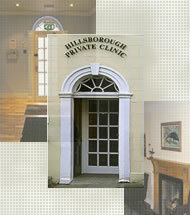 Dr Warke sees private patients at Hillsborough Private Clinic. Outpatient consultations are available on three out of every four Thursday afternoons.The clinic offers fully equipped consulting rooms with dedicated reception and nursing staff. Basic lung function testing is performed on site during consultations. Private consulations can be booked by telephoning Dr Warke's Private Secretarial service or by telephoning Hillsborough Private Clinic directly. If you are arranging your own appointment, please ensure you do bring a referral letter from your General Practitioner which helps to provide relevant background information. Alternatively your GP can book the appointment with the Clinic who will communicate your appointment time to you. Dr Warke welcomes both privately-insured and self-funding patients. If you have private insurance, please bring your membership/policy number. It is also advisable to telephone your insurer in advance to obtain an authorisation code. Dr Warke is registered with all main private insurers. Self-funding patients will receive an invoice in the post following the consultation. Details regarding fees can be obtained in advance from Dr Warke's Private Secretarial service if desired.